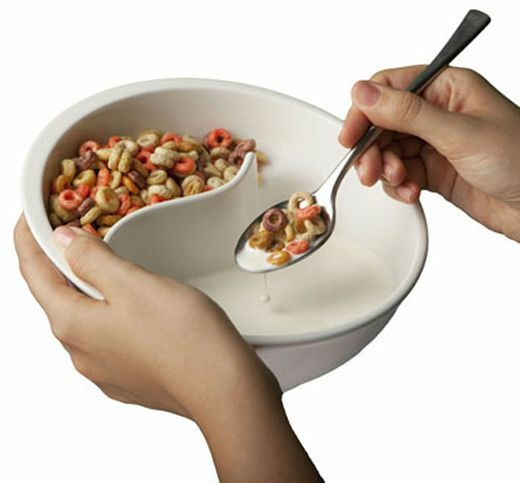 Are you a cereal eater during breakfast? Well most are but I'm not except for some occasion like when I was having my planned meal and cereal is scheduled on breakfast. My kids love it but sometimes they will eat as fast as they can enjoy their cereals without being soggy. I also do it myself especially if the milk we're using doesn't come from the fridge meaning the hot milk we usually have for breakfast. Now I don't have to wait for my milk to cool down as my kids and I can enjoy the cereal by doing the above example displayed in the image. Cool isn't it? I will definitely do it. I was actually saying to myself why I didn't I think of this idea. Genius!